This is my final post in all things Waterton! 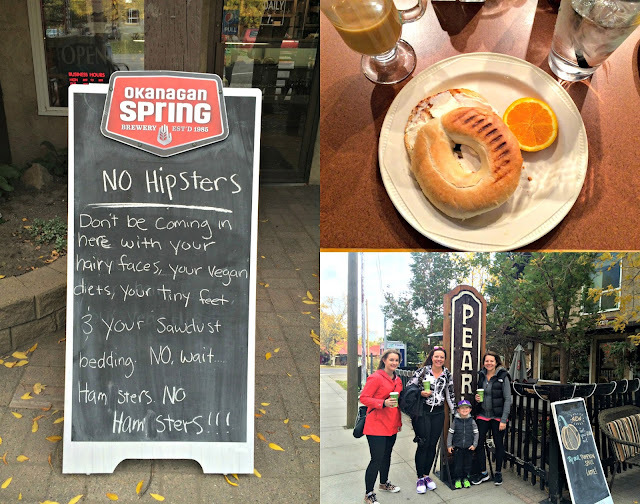 You can read my previous posts on our blogger retreat here, here, here and here. Our weekend in Waterton was such an amazing experience and I really wanted to spread out the posts so that I could properly capture and document how we spent our weekend. The one thing I didn't talk about yet is the food. 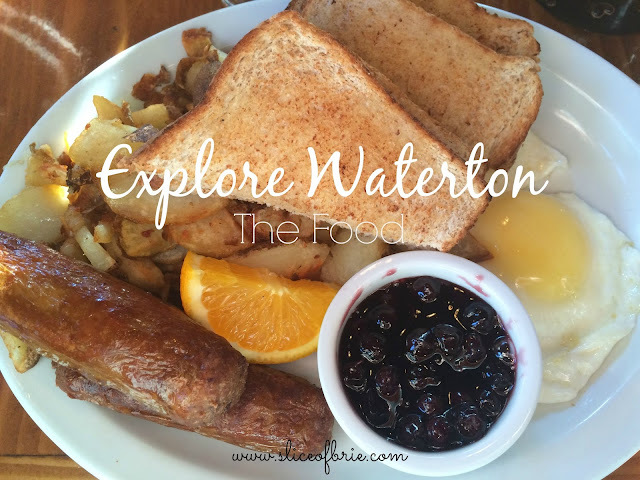 Now, you don't go to Waterton for the food, but there were definitely some highlights (and lowlights) to what and where we ate. The town of Waterton is literally two streets. Everything is in walking distance and there are quite a few establishments to eat at. If you like to eat what you know, then there is a Subway and a Starbucks for you. 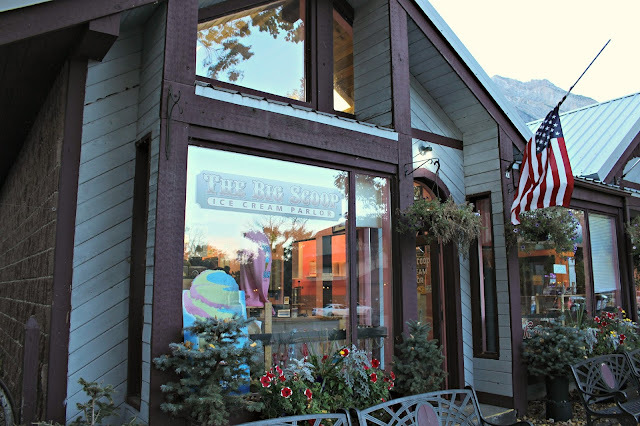 Besides sit-down restaurants, there are also a few take-out places (which have a few bar stools to perch at with your food, or there are picnic tables outside) and then of course there is an ice-cream store and a candy and pie place. Vimy's Lounge and Grill is located in the main building of the hotel we stayed at, The Waterton Lakes Lodge Resort. Upon arrival, a few of us had an early dinner there while we waited for the rest of the group to show up. I found the menu a little underwhelming and the prices were quite steep. I ended up ordering the chicken burger on a brioche bun with a side of fries. 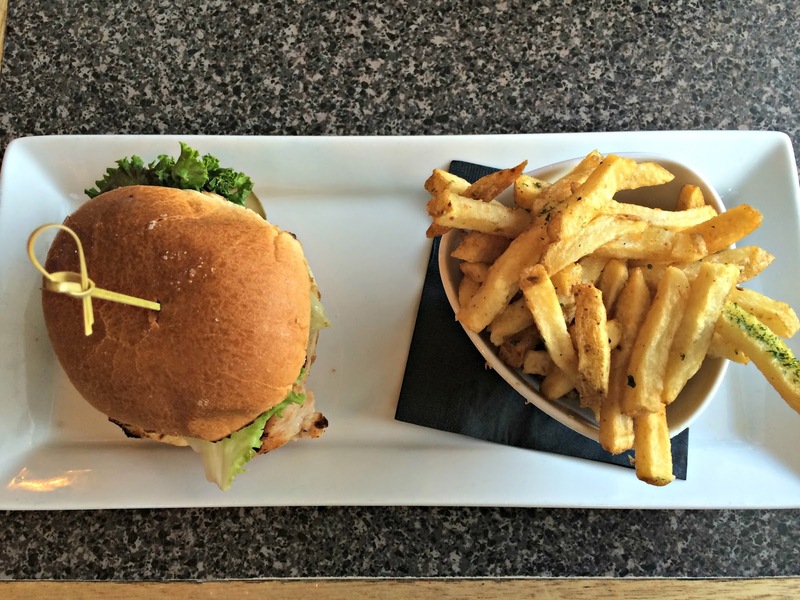 I devoured it because I was starving and while it tasted good, there was nothing about it that stands out for me. Good to know though that this is the only restaurant in Waterton that is open all year round. 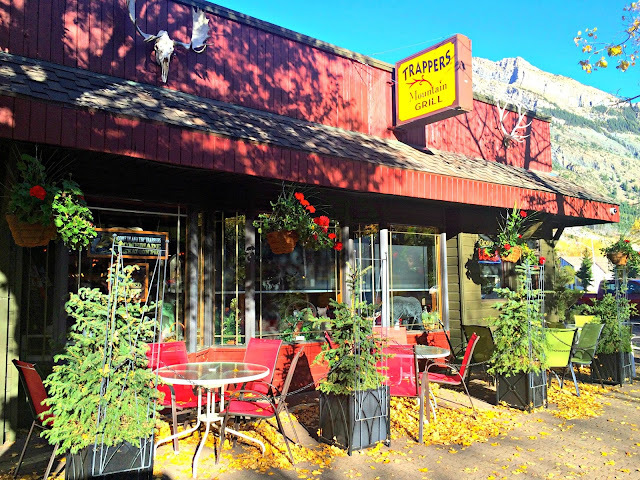 We ate breakfast at Pearl's Cafe before our Shoreline Cruise. Nothing really jumped out at me off the menu and I had a hard time stomaching the prices for their breakfast items (there was nothing under eleven dollars). Not in the mood for a hearty breakfast, I opted for a plain bagel with plain cream cheese (not on the menu) and a coffee. That bagel was the best bagel I have ever eaten. It was so warm and fluffy that I'm pretty sure they must bake them in house. The coffee was weak, but a free refill to take on the road with you was a nice perk! This place was a group favourite and a few of us frequented it more than once. 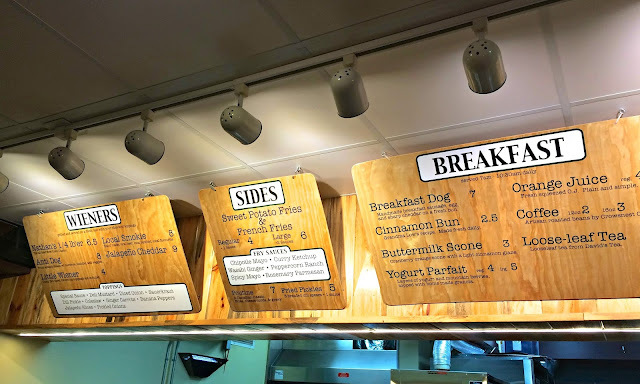 Wieners of Waterton is a gourmet hot dog place and their buns are baked fresh in house every morning and their hot dogs are grilled on order. You get to choose between some awesome toppings for your dogs and if you order fries (which you should!) they have some really unique dips for them. My only regret of the entire trip was that I didn't try their deep-fried pickles! On Sunday before I hit the road though, I popped back in and grabbed two of their homemade cinnamon buns to take home with me and a coffee for the road. The cinnamon buns got eaten before I could snap a photo and they were delicious and sticky and oh so flavourful. Our group ate at the Lakeside Chophouse, which is part of the Bayshore Inn, for dinner on Saturday night (there's also a lounge attached - The Fireside Lounge). The entire back wall is windows which gives diners a view of Waterton Lake while enjoying their meal. The prices are comparable to a steakhouse or other more premier restaurant. I ordered the Grilled Mexican Steak Tortillas, which are actually on the starter menu and I inhaled them before I could remember to take a photo. It's fair to note I was starving post Bertha Lake Hike, but they were also really, really delicious! 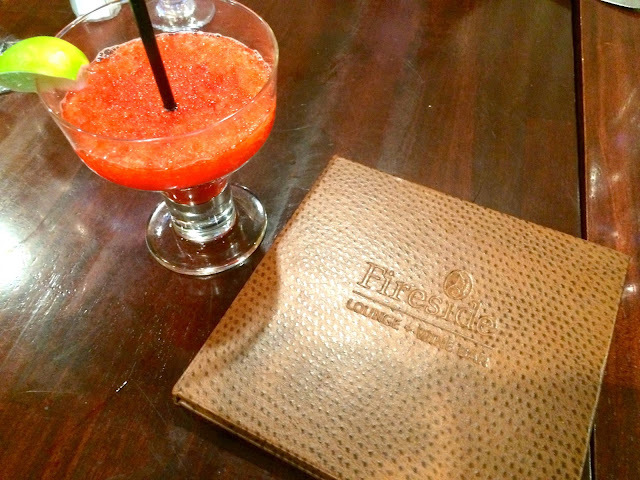 I did remember to take a photo of my margarita which was both yummy and strong. Our second and last breakfast happened at Trappers Mountain Grill, where I splurged and ordered the two egg and sausage with hash browns meal. 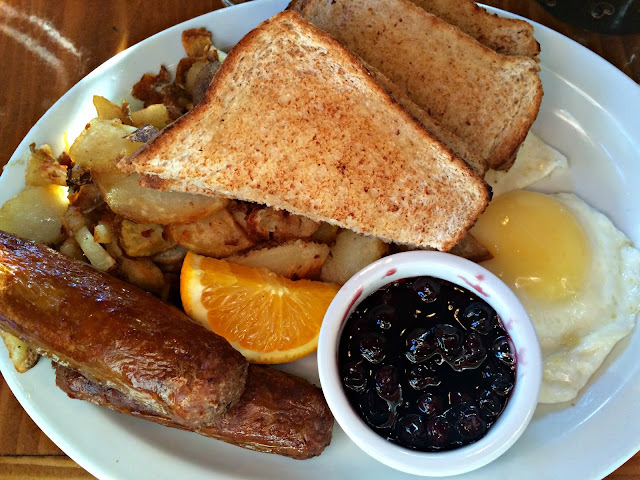 This is generally my go-to breakfast when dining out and I'm so glad I went with my normal order. The sausages were delicious (I think they were bison? ), the potatoes were cooked perfectly, but the real winner was the homemade Saskatoon berry jam that came in a little dish on the plate. I would return just for that jam. Prices were a little steep, but you start to expect that in a little tourist town. 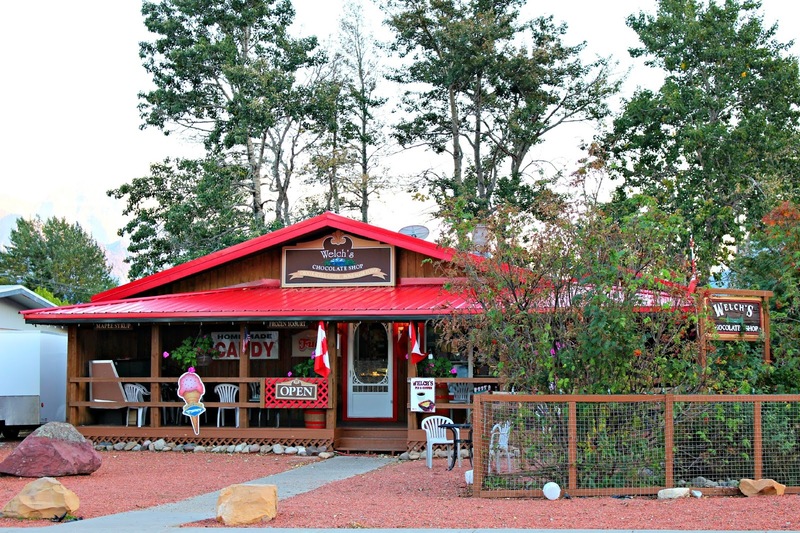 If you're looking for somewhere to satisfy your sweet tooth, Waterton has got you covered! Welch's Chocolate Shop is a candy store in the front and a pie and sweets store in the back. Before I headed home, I stopped in a grabbed two pieces of pie to take home with me. Buying a whole pie is much more value for your buck, but I knew my waistline didn't need it. And it's a good thing I demonstrated self-control, because the same cannot be said for when I got home - those two pieces of pie were devoured by Jim and I! The Big Scoop Ice Cream Parlour was a necessary stop after dinner both nights for the kiddos with us. The scoop servings are very generous and while the ice cream is just Nestle's, there are lots of flavours to pick from and the waffle cones are handmade. You can also purchase homemade fudge there if your sweet tooth is really screaming! After grabbing a cone (and/or some fudge, you can cross the street and walk along the shore of Waterton Lake which is exactly what we did both nights. So there you have it! 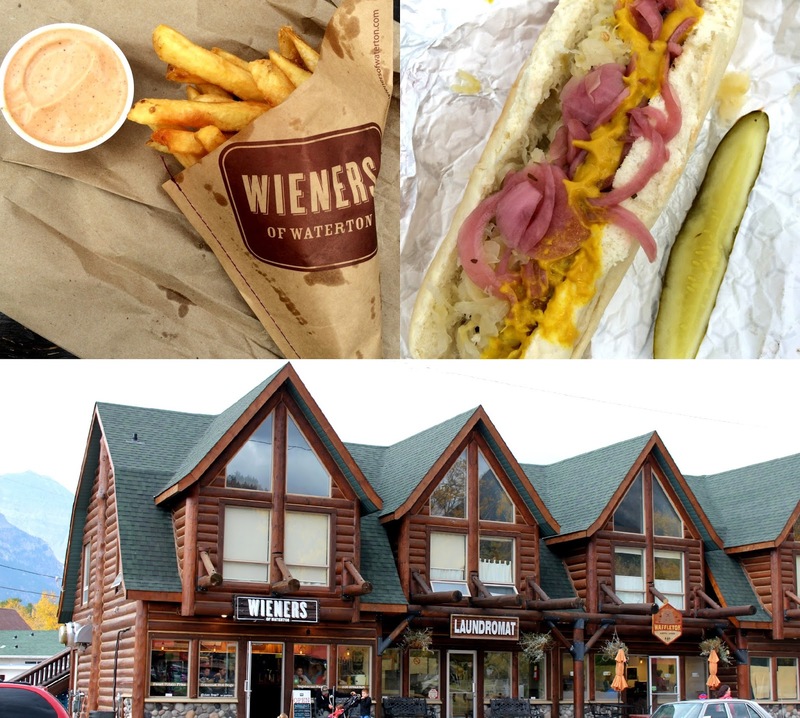 There's lots of options for grabbing something to eat while you visit Waterton, but remember, you didn't go to Waterton for the food (except for maybe Wieners!). Eating all your meals out will definitely get pricey and there's no grocery store, save for a small convenience store with some basic necessities. It's probably a good idea to pack some of your own food, especially if you have a fridge and a microwave in your hotel room (ours did!). Some of the suites at the Waterton Lakes Lodge Resort even come with a full kitchenette, so it's possible to make all your meals while there if you arrive prepared! And in case you're wondering…there's also a liquor store in town! 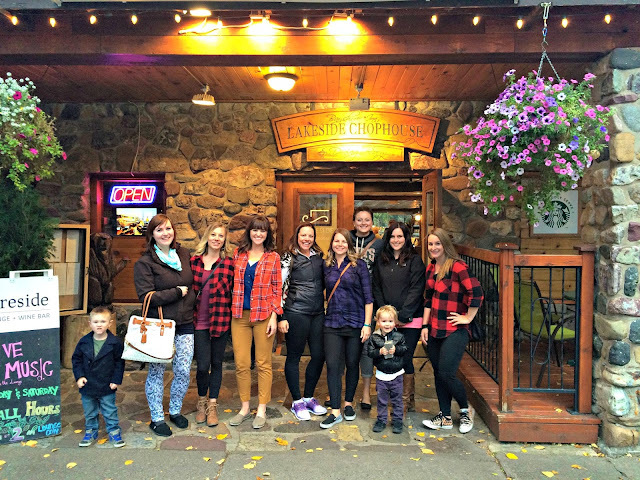 **The #ABBloggersRetreat was funded and sponsored by Chinook Country Tourism in partnership with the town of Waterton and Travel Alberta in exchange for posts sharing our stories. Accommodations, food, and actives were provided to the bloggers. A huge thank-you to Kris and Candace for organizing the trip! All opinions and writing are my own. I am also disappointed that I didn't order the fried pickles at Wieners. For sure that was the best eat of the trip despite devouring alone in my suite with a cranky toddler lol. Hahaha, that made me laugh! Oh toddlers. Obviously, we will need to go back just to taste-test the pickles! We only visited once and there was only one place open to eat and it was horrible! I have heard prices can be steep but I think that is to be expected too. Looks like you guys found a few gems! Ya, it's pricey, but that's to be expected in any little tourist town really. I want to know where you ate now, haha! I think having a kitchenette or at least a mini-fridge/microwave is definitely worth the extra cost compared to what you save from not eating out every single meal. Also I start to feel icky after too many restaurant meals so it's nice to have to lighter options for breakfast/lunch. I love gourmet hot dogs! And your last breakfast looks delicious too. Mmmm the bagel sounds delicious and so do those hot dogs! I honestly don't remember the food at all from when we were in Waterton a few years back. Food pictures are so hard to take, but you nailed it!